There may be no one cure for ALS, which affects patients in different ways. ALS causes the death of motor neurons involved in walking, talking, chewing, even breathing. Now scientists know that two kinds of those neurons may die in different ways. Researchers at Brown led by Anne Hart, PhD, a professor of neuroscience, say that for reasons that aren’t yet clear, some patients with ALS experience degeneration of motor neurons in the spine, while in others, neurons in the brain that issue commands to these spinal motor neurons also die. This suggests that any treatments developed for spinal cord neurons might not cure all people with ALS, Hart says, because they won’t help affected neurons in the brain. Her team published their findings in PLOS Genetics in October. “ALS is complicated. You can see why it’s taking everyone a while to figure out what’s going on,” she says. 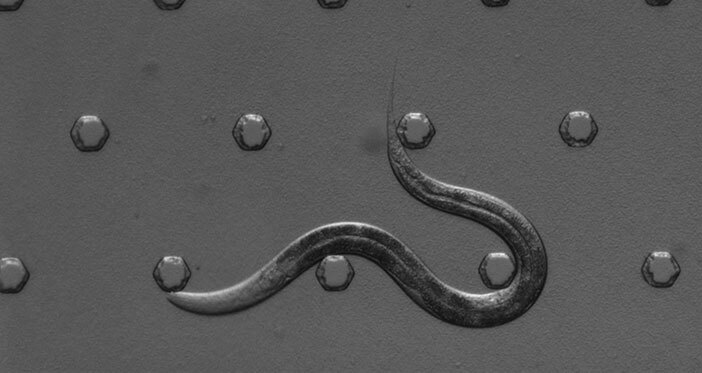 Hart’s lab genetically engineered a nematode model, C. elegans, to study how different ALS patient mutations affected neuron function, motor neuron death, and worm behavior. They found that, in response to induced stress, four mutations caused degeneration in neurons similar to those in human spines, likely due to increased toxic protein accumulation. But two mutations also caused degeneration in neurons akin to those in the human brain, in part because the mutant protein no longer functioned properly. The results could explain why only spinal neurons are affected in some people, yet neurons in both the spine and the brain die in others. But more research is needed to see if the nematode findings hold true in mammalian models and to better understand why neurons degenerate in people with ALS.